Dermatitis, also called eczema, is an inflammation of the skin. There are different types of dermatitis, and the disorder can have many causes and occur in many forms. Generally, dermatitis describes swollen, reddened and itchy skin. Dermatitis is a common condition that isn't life-threatening or contagious. But, it can make you feel very uncomfortable and self-conscious. It can also cause considerable pain and discomfort if not managed correctly. A combination of self-care steps and natural medicines can help you treat dermatitis. Contact dermatitis results from direct contact with one of many irritants or allergens. Common irritants include laundry soap, skin soaps or detergents, and cleaning products. Possible allergens include rubber, metals such as nickel, jewellery, perfume, cosmetics, weeds such as poison ivy, and neomycin, a common ingredient in topical antibiotic creams. It takes a greater amount of an irritant over a longer time to cause dermatitis than it takes for an allergen. If you're sensitized to an allergen, just brief exposure to a small amount of it can cause dermatitis. Neurodermatitis typically develops in areas where something, such as a tight garment, rubs or scratches your skin. This irritation may lead you to rub or scratch your skin repeatedly in that area. Common locations include ankles, wrist, outer forearm or arm, and the back of your neck. Seborrheic dermatitis causes a red rash with a yellowish and somewhat “oily” scale. It's common in people with oily skin or hair, and it may come and go depending on the season of the year. It may occur during times of physical stress, travel or in people who have neurological conditions, such as Parkinson's disease. In infants, this disorder is known as cradle cap. Stasis dermatitis can occur when fluid accumulates in the tissues just beneath your skin, and typically involves the lower leg. The extra fluid interferes with your blood's ability to nourish your skin and places extra pressure against the skin from underneath. Varicose veins and other chronic conditions that slow the return of venous blood in your legs often cause this fluid build up. Atopic dermatitis often occurs with allergies and frequently runs in families in which other family members have asthma or hay fever. It usually begins in infancy and may vary in severity during childhood and adolescence. It tends to become less of a problem in adulthood, unless you're exposed to allergens or irritants in the workplace. The exact cause of this disorder is unknown, but is likely due to a combination of dry, irritable skin together with a malfunction in the body's immune system. Stress can exacerbate atopic dermatitis, but it doesn't cause it. Contact dermatitis is an allergic reaction to something that has touched the skin (such as dishwashing liquid); the rash is restricted to the area exposed to the irritant. Neurodermatitis, also known as lichen simplex, is a chronic form of dermatitis. Neurodermatitis results in a constant scratch-itch cycle. Although signs increase in times of stress, changes in the nerve fibers are also present. Stasis dermatitis tends to occur in people who have varicose veins and swelling. It usually occurs on the ankles but may spread upward to the knees. Atopic dermatitis causes chronic, itchy inflammation of the upper layers of the skin that often develops in people who have hay fever or asthma and in people who have family members with these conditions. Perioral dermatitis is a red, bumpy rash around the mouth and on the chin. The disorder, whose cause is unknown, mainly affects women between the ages of 20 and 60. Dermatitis and eczema are often directly related to food sensitivity and intolerance. If you are really struggling with ongoing eczema or dermatitis it may be worthwhile considering an IgG blood test to scientifically ascertain what foods you are sensitive to. The IgG Food Sensitivity Test is a highly specialised 93 Panel Blood test used by physiciansat the cutting edge of sports, behavioural, nutritional andorthomolecular medicine and is available on Emed. IgG 93 Panel Food Sensitivity blood test gives you a massive amount of information that you can use to take control of your health – from your very next meal! It is well documented that if you avoid foods your body is sensitive to, your skin will improve. The best way (without the guess work) to find which foods they are, is to use the IgG Food Sensitivity Test. If you suspect an allergy to a chemical or cosmetic, try an at-homepatch test by applying a small amount of the suspected irritant to aspot on your arm or back for seven days. Many cosmetics do contain a lot of chemicals so always try use ones that are chemical free or made from natural ingredients. Wherever possible look to reduce the amount of chemicals you ingest or place on your skin. Particularly soaps and shampoos are common sources of problems. There are some great natural product ranges that you can use instead of the more commercial chemically based cleaners. Our staff favourite is the Avalon Organics range which is a great product that is reasonably priced. Another range is Al'chemy and A'kin. Use only chemical free soaps or detergents, dry yourself carefully, and moisturise your skinregularly to help ease the symptoms of dermatitis and eczema. Avoid artificial fragrances where possible as they often irritated the skin. Use natural cleaning products in your home. Chemicals don’t just have to be applied to skin to be dangerous. “B_E_E“have a large range of house-cleaning products that are 100% natural,and will leave your home as clean as regular cleaning products. Always read the label. If you can’t understand most of the ingredients – then avoid it. Check the label for Sodium Laureth Sulphate (SLS) as well. Vitamin B Complex, along with magnesium is an effective way to improve your body's ability to cope with stress. The mineral zinc aidsthe healing process and boosts the functioning of the immune system;it's also necessary for the processing of vitamin A and essential fattyacids. When used long term, zinc should be taken with copper, because the zinc depletes the body's copper reserve. Take a Zinc supplement to assist with skin healing. A number of supplements, taken internally, are useful in counteringinflammation and tempering the allergic response. Try a few and seewhich ones work for you. Vitamin A and Vitamin E may alleviate skin dryness and itchiness; the dosage of vitamin A can be reduced when symptoms improve. In addition, grape seed extract is rich in antioxidants called flavonoids, which inhibit the body's allergic responses. Evening primrose oil has been shown in clinical trials to be of valuein the reduction of symptom of atopic eczema such as skin dryness,itching and inflammation. One of the leading uses of evening primrose oil is to treat eczema and dermatitis. This condition may develop if the body has troubleconverting fats derived from food into GLA. Studies of people witheczema indicate that taking evening primrose oil for three to fourmonths can help to alleviate itching and reduce the need for topicalsteroid creams and drugs (with their unpleasant side effects). Flaxseed oil and evening primrose oil contain different types of skin-revitalising essential fatty acids that can help relieve itching and inflammation. Most people are chronically dehydrated. One of the easiest ways to improve your skin is to drink plenty of water. It is an obvious but frequently overlook point. Dress appropriately. Doing so may help you avoid excessive sweating. Avoid other irritants. These include wool carpeting, bedding and clothes, and harsh soaps and detergents. Are your Skin Products Toxic? Probiotics – The Good Bacteria We Need. I am still stuck what else can I do? In really problem cases, where you have tried just about everything, a comprehensive metabolic test may be of benefit. The test is called the Optimal Nutrition Evaluation or ONE, which comprehensively and scientifically measures many of the trace nutrients, anti-oxidants, amino acids and specific metabolites used by your body. It is the only way to completely review your overall nutritional status and assess your functional needs for individual nutrients, vitamins, amino acids and anti-oxidants. You will never know what you need unless you have it measured. The ONE test the only truly scientific way to organise a nutritional andsupplement program specifically designed for your individual metabolicneeds. 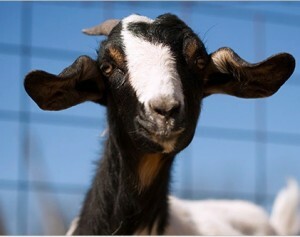 Goat’ milk soap is now emerging as the saving grace for those with skin conditions. A great quality, natural and gentle goat’s milk soap, like those found on Emed, will allow your skin to heal and rejuvenate without the side-effects. Why? Well, it all comes down to balance. Read on to find out more.